I’m so excited with how this is turning out! Just look at it. Especially when you compare it to yesterday’s picture. Today, I spent a couple hours going over the whole thing once again making the paint more solid looking. What a difference that made, eh? It’s going to look fantastic when I make a whole bunch and put them all together. I could literally do like 50 of these NES title screens, with each game having some type of impact on my childhood. 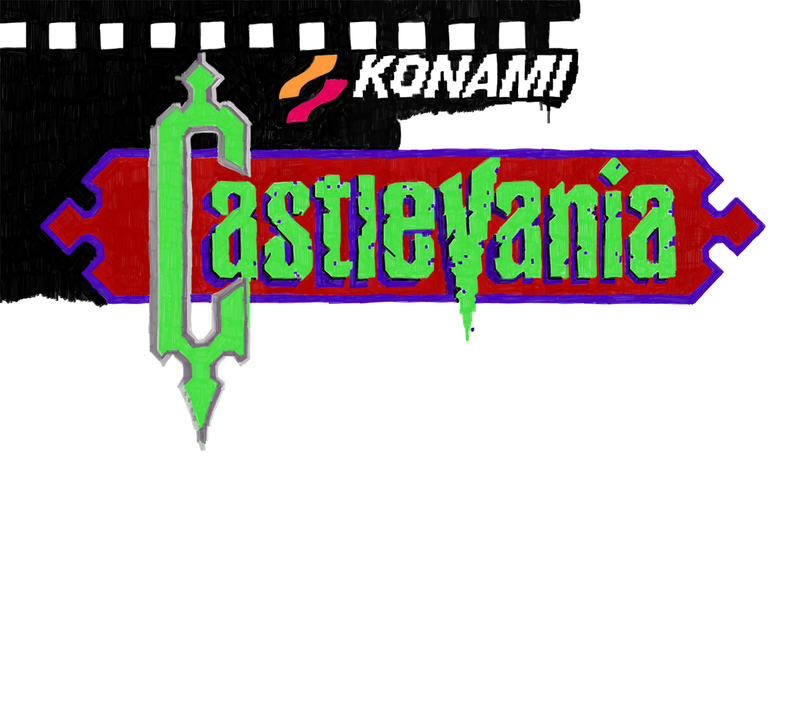 Castlevania was a game I played only a little, but the sequel, “Castlevania II: Simon’s Quest” was a game I played quite a bit. The graphics were fantastic and the puzzles were really strange. You literally had to read Nintendo Power to figure out what to do. No joke, it was completely impossible to figure out what you needed to do to progress through a couple points of the game. I’m not sure if this was done on purpose, maybe in order to sell magazines or make money with 1-900 numbers (No internet! ), but I do fondly remember learning how to beat my games from kids during recess. 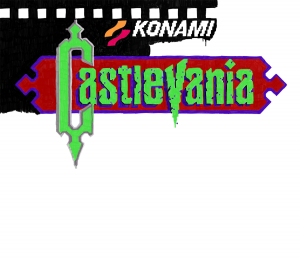 So, I mentioned how great the graphics were in Castlevania II, and I’m sure I’ll draw that title screen in time, but it was the music that I loved the most in that game! The soundtrack for Simon’s Quest was fantastic. It almost felt like it was straight out of those classic Dracula movies, but injected with adrenaline. I have a couple more things I want to write down today. First off, I’ve mentioned Kinda Funny in my posts before, but today the guys that do the show were away at a video game conference (PAX) in Boston, so a young girl (Ashlynn Arias) took over their show for the afternoon. I’m going to use this as the thing that inspired me today because she was nervous when she got started, but became a pro by the end. I’m not sure how it went down when it was decided that she was going to do the show today, but for her to accept something like that and jump right in (on time as well!) and do a fantastic job was pretty awesome to witness live. The last thing I want to mention is that I’ve added a “Store” button on the top of my page. When you click on the link it takes you to a page with a couple different options. You can go to Artpal to buy prints of my artwork, or you can go to RedBubble and look at what’s available there. RedBubble’s the place where you can get my artwork printed on things like iPhone covers, stickers, mugs, shirts, and pillow cases. I really want to eventually buy some t-shirts with these video game title screens on them. This entry was posted in Nintendo, Work in Progress. Bookmark the permalink. Awesome! Glad you like it. It looks a bit like what I would expect from an HD remake maybe.